In the early years of The Limelight Theatre Company, when most of my company of actors were junior high aged, I found it difficult selecting quality plays that would interest and challenge them. We had done Shakespeare and Arthur Miller, but you couldn’t do those all the time with actors in their early teens. It just didn’t feel right. Most of the plays that were offered for that age group were silly murder mysteries or spoofs of popular theatre conventions, and none of that really interested me. 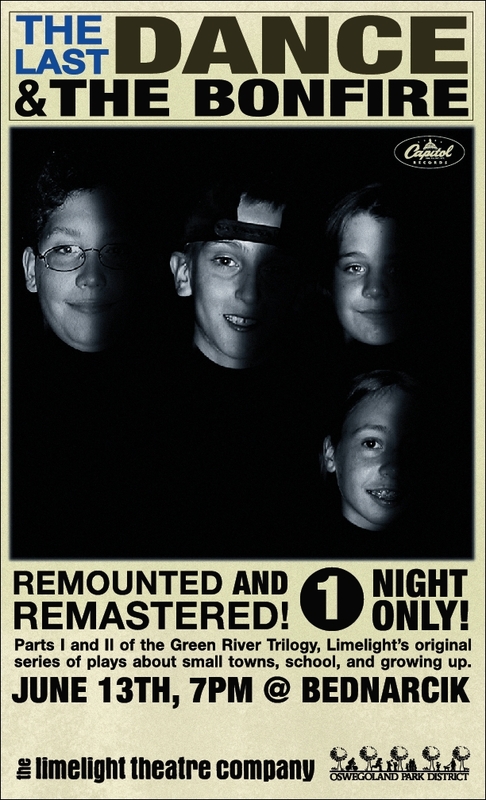 Where were the plays that those young teens could truly identify with? If I wanted my players to learn anything valuable from their theatre experience, at this point in their young lives, it was how they could make connections between themselves and the roles they were playing onstage. I wanted them to understand how theatre could reflect their own struggles and concerns, and there just wasn’t enough of that type of play out there. So, I decided to write one myself. The Last Dance told a simple story of a 13-year old boy who discovers he’s moving out of state at the same time he develops his first real crush. It was about a group of friends in their early teens and their lives at school, and the story of they boy’s crush paralleled a story of his favorite teacher’s crush on a co-worker. Both wind up with their heart broken. It wasn’t revelatory or groundbreaking, but throughout the rehearsal process the kids would continually remark, “That’s just like my life!” or would make suggestions about dialog or situations in order to make them more true. It was exactly what they needed, and it turned out to be a terrific success. A year later I wrote a semi-sequel to The Last Dance called The Bonfire, and advanced the story by five years. With a new set of actors, we told another simple tale about those same characters from the previous play, but now they were facing the end of high school and a new chapter beginning in their lives. Instead of another school setting, the action was centered around part-time jobs, and we saw our characters slowing starting to transform themselves into young adults as they navigate the real world for the first time in their lives. Heartbreak ends the play once again. Four years passed before I wrote another play, and I felt it was time to tell one final story about these characters. 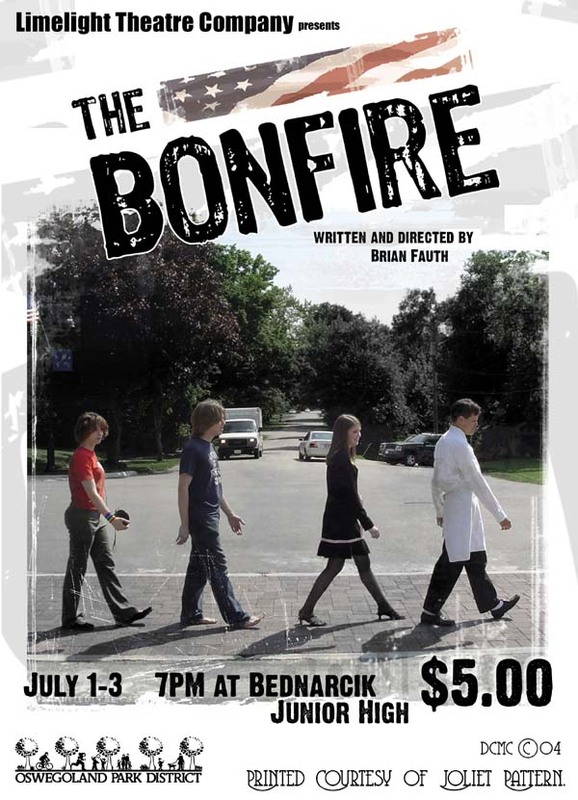 My teen actors from five years ago were now into their college years, and beyond, and it felt appropriate to set the last play in that world. Heroes and Villains reunited most of the core cast from The Last Dance, and while it was about many things, it was mostly about endings. It was about a group of friends who have realized that they are not who they once were, and that it was time for everyone to move on with their lives, just as many of those actors were doing in real life. 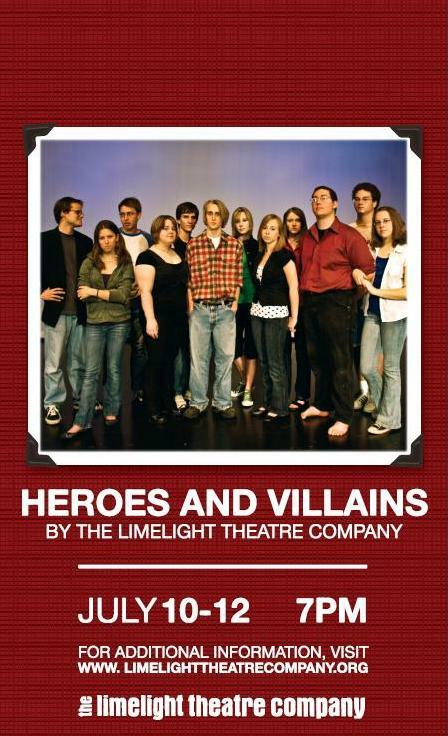 Heroes and Villains ends not with heartbreak, but hope; it also ends with a departure, and it also signaled the departure of my original company of actors, who were either moving on from Limelight, or moving into positions as writers and directors themselves within the company. The trilogy of plays has become known as the Green River Trilogy, named after the small Midwestern town the characters were from. Through these plays, we defined many of the core principles that govern The Limelight Theatre Company: namely, an emphasis on collaboration and originality in our works, and an understanding that a company of actors and artists can also become a family. In the end, the Green River Trilogy was a story about us. For my most recent original play, I did what I had been doing for the past several original productions: gather a group of actors together and start from nothing. In a series of annual workshops, I have gathered young writers and performers together to brainstorm story ideas, create characters, and develop an original story throughout month-long sessions. Taking the ideas generated in these sessions, I would then spend a long period of time writing a play, with additional workshop sessions designed to identify strengths and weaknesses in the script. This is how Heroes and Villains was created, along with the Peter Pan-themed An Awfully Big Adventure, and most recently, All These Will Be Worthless. As with many of my original works, All These Will Be Worthless drew from my own experiences growing up in the 1980s. The final years of the Cold War, and specifically the fall of the Berlin Wall, became the setting for a story about two sisters coming of age. The wall and the threat of nuclear annihilation become a metaphor for the lead character’s inability to connect with anyone around her. Events shift back and forth from Berlin in November, 1989, and past events in the characters’ childhoods. There are Army officers, punks, catty sleepover moments, and zombies. And a shotgun-wielding Ronald Reagan. Because this was a female-centered show, I wanted someone who could give voice to my closed-off main character. I chose one of the most talented members of our ensemble, Chelsey Walker, to compose and perform a series of original songs that would be performed throughout the show. In the show, The Minstrel floats in and out of scenes, like one of Wim Wenders’ Berlin angels, strumming her guitar and singing words to soothe the troubled heroine of the story. 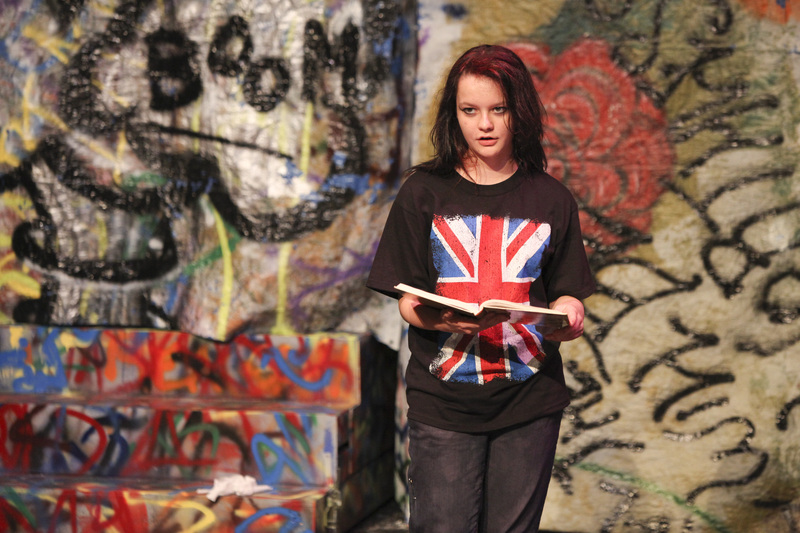 Additional photos of these productions can be found in the Gallery.